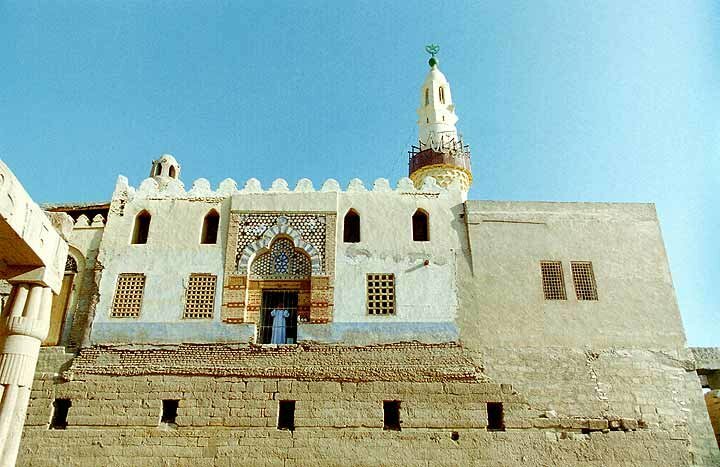 This is the Abu el Hagag Mosque, one of the oldest in Thebes. It was built on top of the Luxor temple long ago, at that time the doorway that you see was at ground level, it is now more then 25 feet in the air. This demonstrates how deeply the Luxor temple was buried by the ever encroaching desert. Luxor was first Excavated in 1881 by Gaston Maspero and work has continued ever since.